DA Enterprises, or DAE, began as an electronic manufacturer over 45 years ago. Today we are no longer an electronic manufacturer. Instead we look for niches that will allow us to compete as well as fill customers needs. There are several areas of interest. 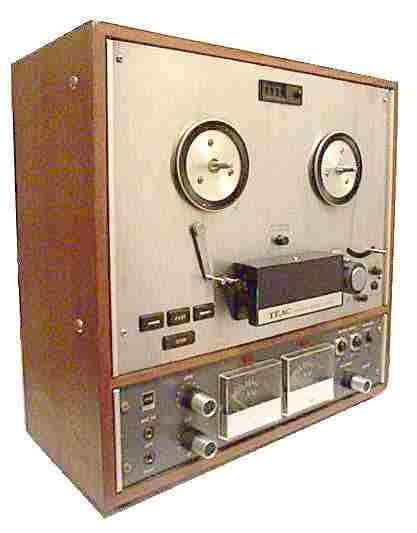 Of particular interest are vintage Teac reel-to-reel recorders. Upon investigation, we found that parts are few and far between. More investigation found that most problems were not primarily parts related, but rather care related. Because of this we launched DAE into Internet sales of Teac decks, drive belts, and related items for select Teac recorders. Over the past two decades our focus has shifted to the online sales of OEM spec capstan and counter belts, as well as digital reproductions of the original service and owner's manuals from Teac. We also proudly offer Tweak Your Teac by David Davis aka The Teac Man. DAE was founded by Dave, a Vietnam veteran. Today, the company is run by his daughter, Air Force veteran Laura. Secure servers are used for credit card and Paypal transactions. All prices include USPS first class mail shipping within the United States. Priority mailing is available. Because of delivery uncertainty, DAE does not ship internationally. Returns of any kind are not accepted unless pre-approved by DAE. Buyer pays shipping on ALL approved returns. DAE is not responsible for damage during shipping nor is responsible for wrong choices made by the buyer. CREDIT CARDS PURCHASES: We accept credit card purchases through the PayPal credit card system. It is secure, safe, and free. To place an order, simply click the "Add to Cart" button by the desired item and follow on screen instructions. Prices include first class mail shipping within the United States. Priority Mail is an added $5.00 for entire order. For Priority Mail, Click ONLY ONE of the Priority Mailing "Add to Cart" buttons located throughout the parts listing. Shipping and billing addresses MUST be the same! Because of delivery uncertainty, DAE does not ship internationally.